Thanks for your offers to help! Here is the latest update of our efforts. As of now the Emergency Response teams(Fema, United Way, Red Cross, etc…) in VT and Upstate NY are very busy with the rescue effort and are just now starting to be set up for coordinating volunteer help. I have been in contact with all of the above agencies as well as the VT Governor’s Office, local organizers, our Mountain Area friends and families. At this time we are soliciting donations of services and funds to facilitate our Volunteer Bus(es). The complications of Housing, Feeding, and Watering all of us volunteers is a great concern to the Emergency Agencies. There is also the difficulty of being able to get our bus into the areas where help is most needed. We are working on sorting out the logistics of getting us all up there to help. With out a properly organized plan, showing up with a bus of 30-50 people would only add to the chaos. 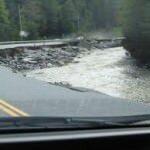 The State of VT is still assessing the safety of roads+bridges, as well as buildings. When we do get the green light to send our bus(es), we will need to be prepared to be completely self sufficient. This means bring all our own food, water, camping gear, weather gear, safety gear, tools, etc… This goes for all volunteer headed to the area! Whether we head up as a group, or you go on your own, PLEASE BE PREPARED is what all the agencies are asking. The last thing they want is to have to rescue the rescuers!!! The reality is that there is going to be need of help for the region for many weeks to come. We are all anxious to get there and help, but we need to do it right. I will give you updates as we get them. Also keep checking our FB page for more ways to help or donate. Please post links with any info you may have on our FB as well. One of the biggest things we can all start doing right away is to Help Raise Awareness here in and around NYC! Amazingly this story is already slipping out of the news and the minds of NY’ers! Many people don’t have any idea what has happened inland and up north. Please spread the word!!! I leave you with part of an email that I received reporting thankfully that a friend, Justin, and his family are safe. Its just one part of one person’s story up there. There are tens of thousands more just like it…. “Justin just showed me some crazy scary video footage of the river in front of his house. Usually about 3 feet deep and rose to 24 feet high! It rose across what used to be his yard to just outside his door. Another 8 feet and it would have been inside his house. He road his bike along route 4 as a roof went flying past him down the river. On the video he showed me you can see two propane tanks floating and repeatedly being slammed into the house across the street from his as propane hissed out. Down the road wires fell on a tree down the street and it burst into flames. Said it was like armageddon. Hardly slept Sunday night as the river was roaring outside their windows and they couldn’t see if it was getting any higher. And they had no way of leaving, no phone, no power. Thanks, stay in touch and we’ll get this mission to the next level. This entry was posted in Fundraiser, Lara's Blog. Bookmark the permalink.